This year’s report on progress towards The Millennium Development Goals published by the United Nations highlights several milestones. The target of reducing extreme poverty by half has been reached five years ahead of the 2015 deadline, as has the target of halving the proportion of people who lack dependable access to improved sources of drinking water. Conditions for more than 200 million people living in slums have been ameliorated—double the 2020 target. Primary school enrolment of girls equalled that of boys, and we have seen accelerating progress in reducing child and maternal mortality. These results represent a tremendous reduction in human suffering and are a clear validation of the approach embodied in the MDGs. But, they are not a reason to relax. Projections indicate that in 2015 more than 600 million people worldwide will still be using unimproved water sources, almost one billion will be living on an income of less than $1.25 per day, mothers will continue to die needlessly in childbirth, and children will suffer and die from preventable diseases. Maternal mortality. In 20 years, the number of maternal deaths has decreased from more than 540,000 deaths in 1990 to less than 290,000 in 2010 – a decline of 47%. One third of these maternal deaths occur in just two countries – India with 20% of the global total and Nigeria with 14%. 10 year trends for causes of child death. Data from the years 2000 to 2010 show how public health advancements have helped save children’s lives in the past decade. The world has made significant progress, having reduced the number of child deaths from almost 10 million children aged less than 5 years in 2000 to 7.6 million annual deaths in 2010. Declines in numbers of deaths from diarrhoeal disease and measles have been particularly striking. Death registration. Only 34 countries (representing 15% of the world’s population) produce high-quality cause-of-death data. In low and middle-income countries, less than 10% of deaths are registered. Looking into the Millennium Development Goals: 2012 Progress Chart compiled by the United Nations Department of Economics and Social Affairs (UN-DESA), indicates that target was already met or expected to be met until Year 2015 for Goal 4 by Northern Africa, Eastern Asia, South-Eastern Asia, Western Asia, and Latin America and the Caribbean; and for Goal 5 (Reduce Maternal Mortality by three quarters) by Eastern Asia, and Caucasus and Central Asia. As some of the developing regions forge ahead, under-five deaths in sub-Saharan Africa and Southern Asia form a larger share of the world total. The 6.2 million child deaths in these two regions in 2010 corresponded to 82 percent of such deaths on a global scale. On the positive side, 14 of 66 countries with at least 40 under-five deaths per 1,000 live births in 2010 had cut their under-five mortality rate in half or more since 1990. 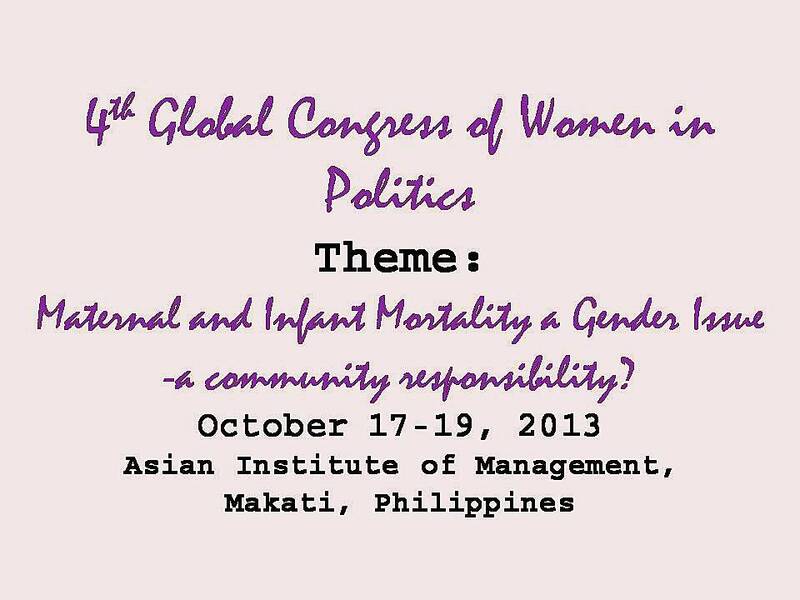 An estimated 287,000 maternal deaths occurred in 2010 worldwide, a decline of 47 per cent from 1990. Sub-Saharan Africa (with 56 per cent of these deaths) and Southern Asia (29 per cent) together accounted for 85 per cent of the global burden in 2010, with 245,000 maternal deaths between them. The number of maternal deaths per 100,000 live births—the maternal mortality ratio, or MMR—was also down, from 440 in 1990 to 240 in 2010, for the developing regions as a whole. While traditional birth attendants (TBAs) have an important role in increasing coverage of basic maternal and newborn health (MNH) care relevant to MDGs 4 and 5, especially in countries where service gaps still exist, there is an important need for training, support, supervision and regulation of these TBAs to ensure safe practice. They should be under the supervision of health care providers with trained medical personnel such as midwives, nurses, and clinical officers, who are non-medical doctors (non-MDs), to perform tasks and procedures related to maternal and newborn care. These birthing clinics should be equipped with birthing facilities and minimum birthing equipment. The non-MD personnel should as well be trained to recognize conditions that are beyond their primary care level and be willing to refer or consult promptly with medical doctors (MDs) for the more complicated patients that require advanced treatment. 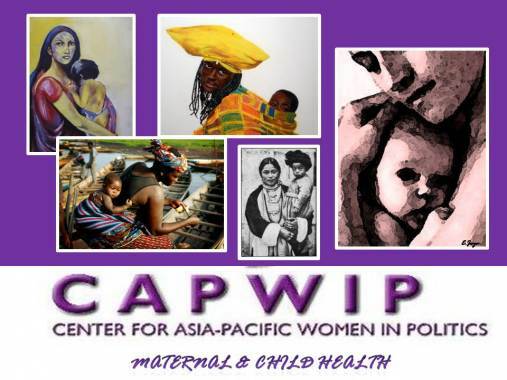 CAPWIP 4th Global Congress will provide a forum for parliamentarians, Ministries of Health, and other law-making bodies to dialogue broadly with birthing facility owners and administrators, health policy makers, the academe, specially the midwifery and nursing schools, midwives, nurses, doctors and other health care professionals in order to discuss lengthily about existing problems in maternal and child mortality, assess the gaps, and formulate legislative actions and policies in order to establish safe birthing facilities and support them with funds.